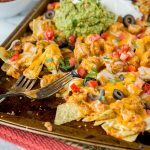 Copycat Granite City Idaho Nachos – a restaurant favorite appetizer at home! 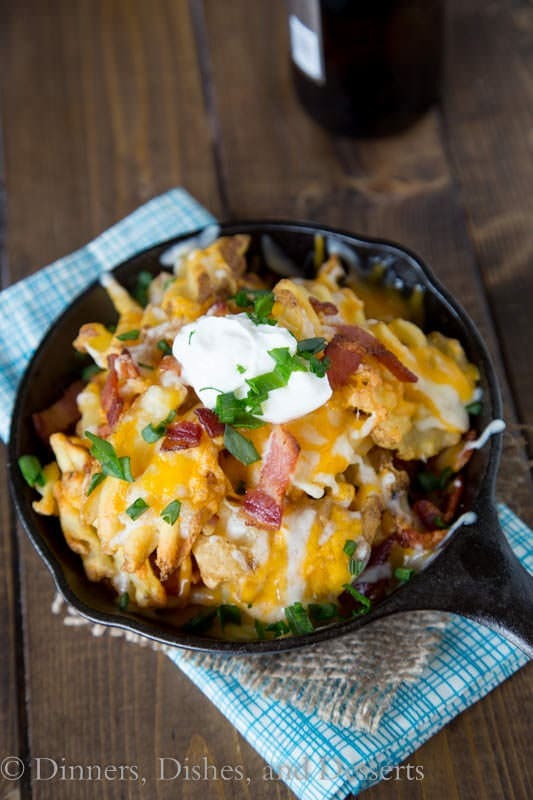 Crispy waffle fries topped with bacon, green onions and lots of melty cheese! 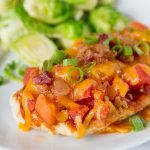 Do you go out to restaurants and love what you have, but are sad you can’t make it at home? Sometimes I order something and know that I can recreate it. 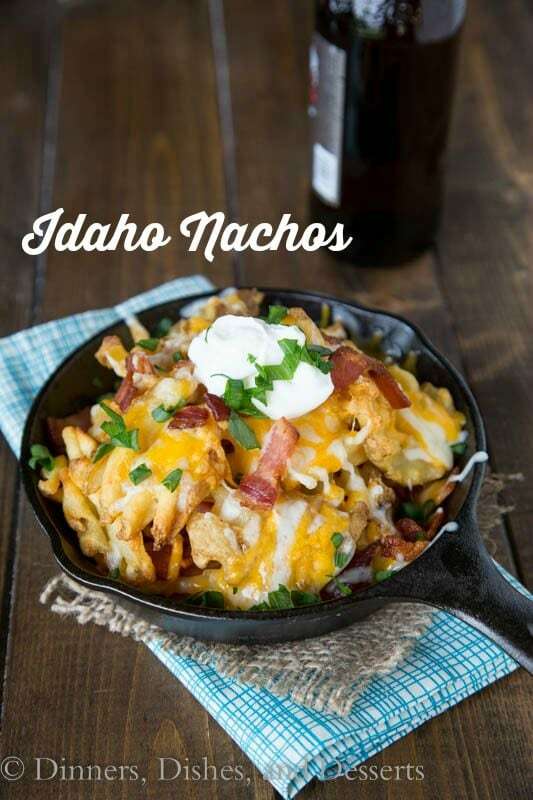 These Idaho Nachos are one of those things for sure. 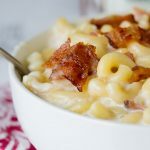 Copycat Panera Mac and Cheese is definitely another creamy and comforting dish that tastes almost the same as the restaurant. Sometimes you get close, or what a lightened up version. 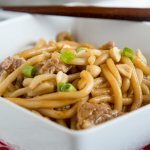 Pasta Milano (Macaroni Grill Copycat) is a lightened up version you can make and not feel completely guilty about. When we lived in Iowa there was a brewery called Granite City Brewery in town. It is a chain, so they are in quite a few cities around the Mid West. One of my favorite things on the menu was there Idaho Nachos. 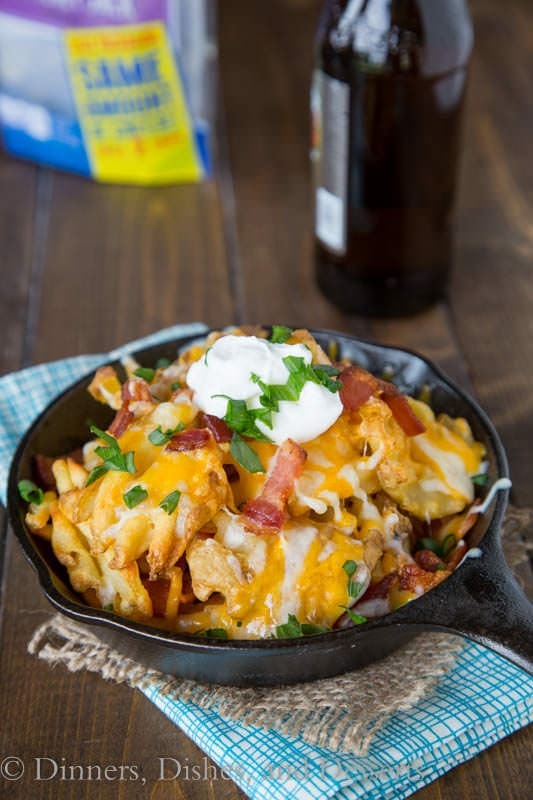 Crispy waffle fries topped with cheese and bacon and then garnished with sour cream and green onions. 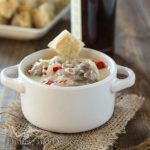 Pretty darn simple, but oh so comforting and good. I am not always a fan of plain sour cream, but with the fries and the cheese it is perfection. 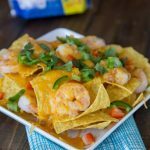 Totally mix up your nacho game and make these Cheesy Shrimp Nachos recipe. 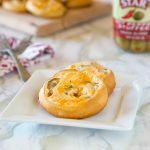 Anything with melty cheese is great for game day, parties or entertainer. There is just something about it that brings people together. 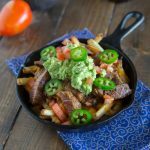 You can make these Idaho Nachos in a small skillet like this, a big sheet pan or even a casserole dish. Anything that is oven safe will work. 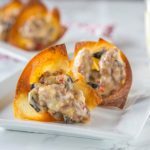 Just serve them during the next big game and no one will be disappointed! 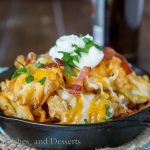 Nachos made with crispy waffle fries, bacon and lots of cheese. Copycat version of Granite City Brewery. Cook the waffle fries according to the package directions, until crispy. Line a plate or baking sheet with a layer of the cooked waffle fries. 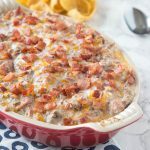 Top with 1/2 the bacon and 1 cup of shredded cheese. 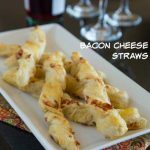 Top with the remaining fries, bacon and cheese. 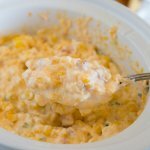 Microwave or return to the oven until the cheese is melted. 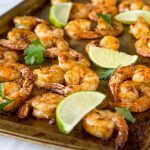 Remove from the oven top with sour cream and green onions to serve. This looks sooooo good!! Nachos are the best medicine! ALWAYS! Hope he feels better soon!! Waffles fries just got better. I love ’em. 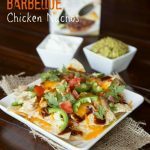 Yummy Yummy, I need these nachos in my life! I’m thinking Idaho Nachos are gonna be on the menu next week. 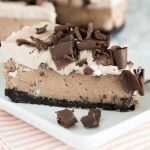 These look amazing Erin! Pinned! We are big fans of Granite City too! 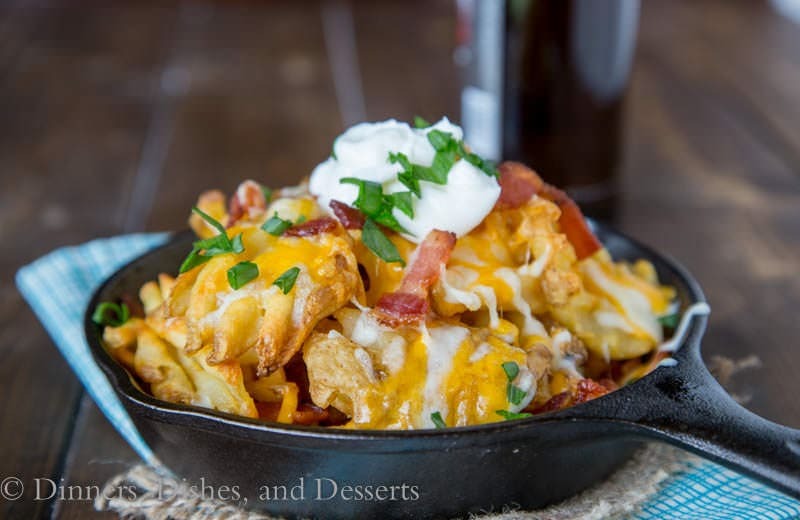 And Idaho Nachos are on our weekly menu! My favorite night of the week!